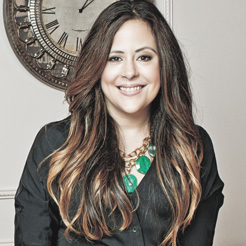 I don’t know about you, but I’ve had it with hat head and staticky winter hair. I’m longing for those fleeting spring days where wash n’ wear hair is a thing. Sure, I can pull of a messy hair bun like a pro, but it starts to sag after a while and then it just turns into a droopy mess. That’s where the polished top knot comes in. 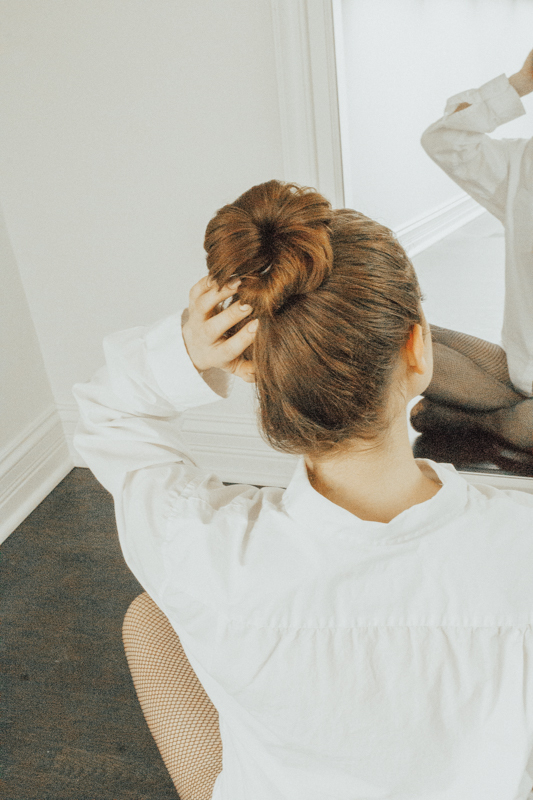 Not a complicated and time consuming one though – I’m talking about a 5 step pretty hair bun that pretty much anyone can create with just a dollop of product. 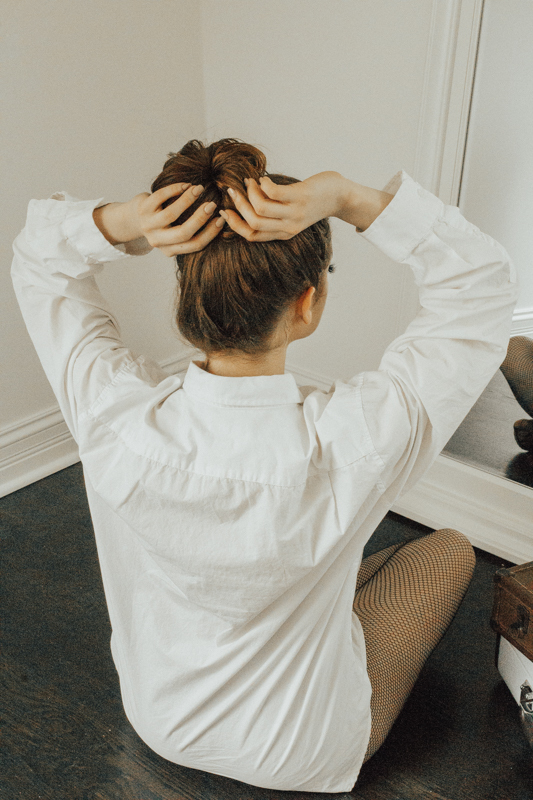 So grab an elastic and a handful of bobby pins and read below for the easiest way to create a hair bun for those days when a messy look just won’t do. 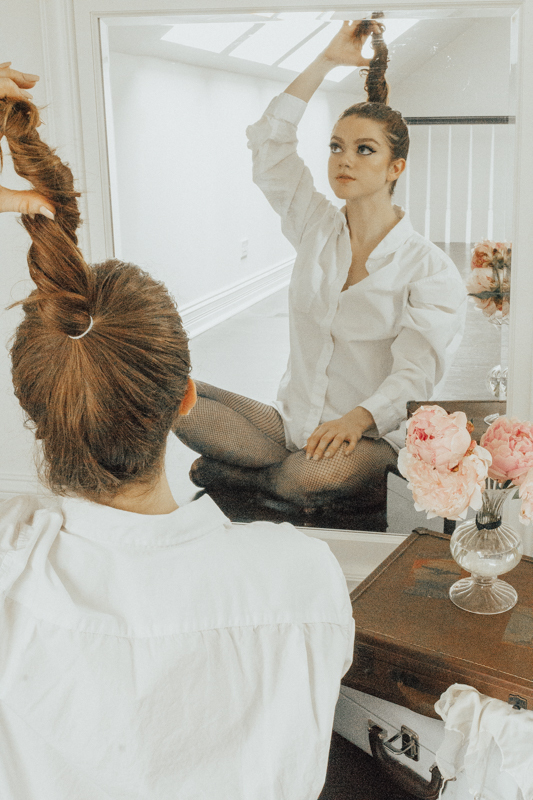 We all love a high pony as it lifts and defines our features like no other style. We kept ours looking natural by brushing our hair upwards with our fingers and using a clear elastic to set in place. 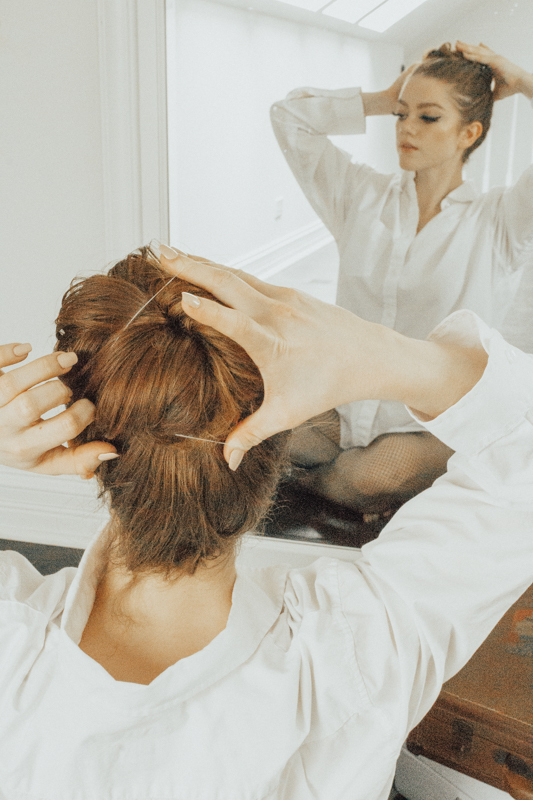 Next, we twisted our hair upwards and then let it naturally twist around itself naturally (to form a bun) as we lowered it downward. Note as we mentioned above, this style is ideal for wet hair, raw hair (your natural hair without any product), and second or third-day hair. It’s also nice to set your hair in this fashion with a soft scrunchie before you go to sleep to get loads of natural, chemical-free volume and wave. We set our bun in place using another clear elastic and pinned any strays with hairpins. And lastly, we tugged at our bun to get the shape we wanted and create that natural fullness.